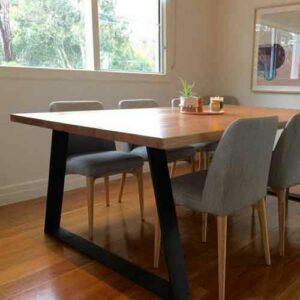 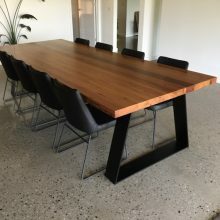 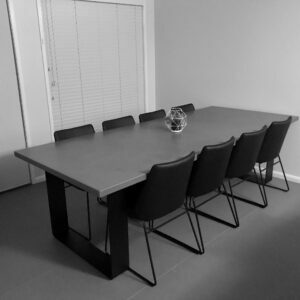 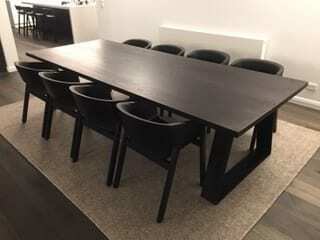 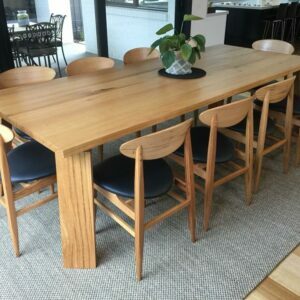 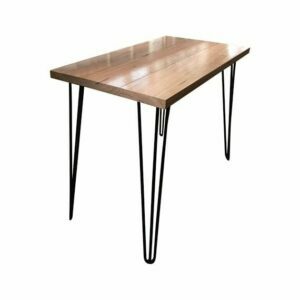 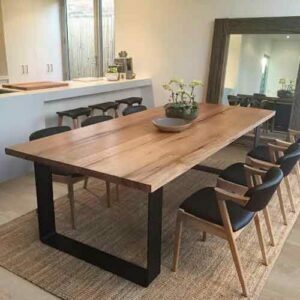 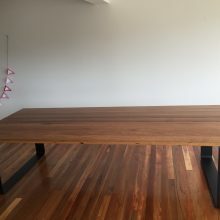 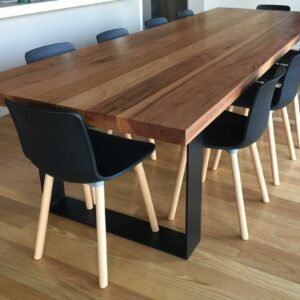 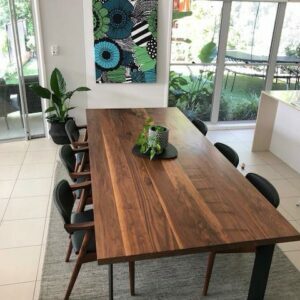 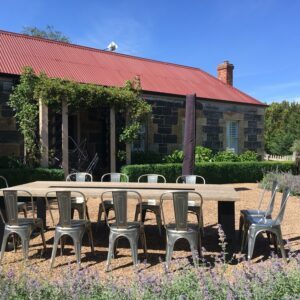 Timber dining tables are durable, beautiful and timeless. 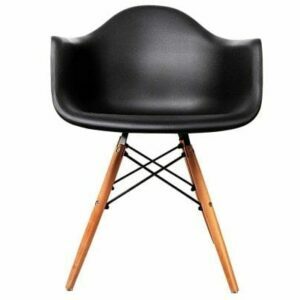 They add style, warmth & liveliness to the overall decor of your room. 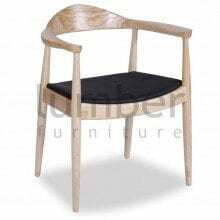 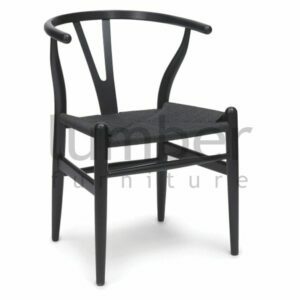 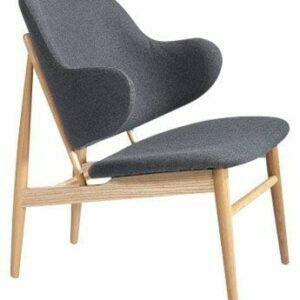 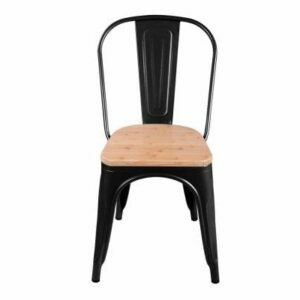 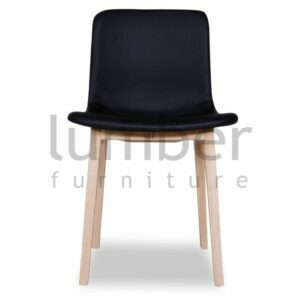 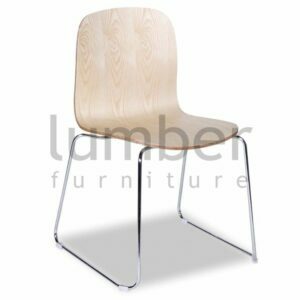 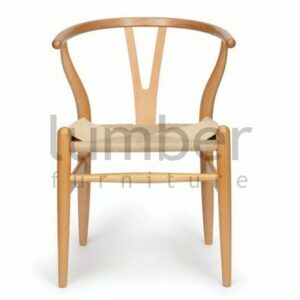 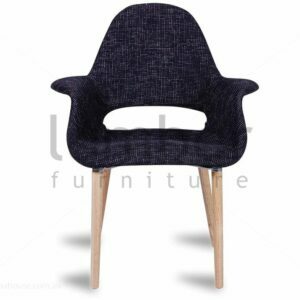 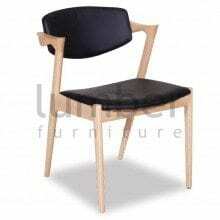 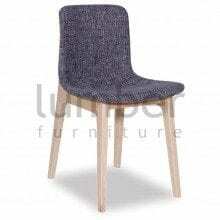 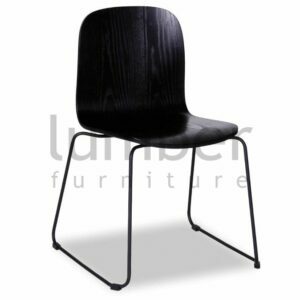 A collection of designer dining chairs for your space. 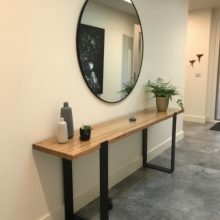 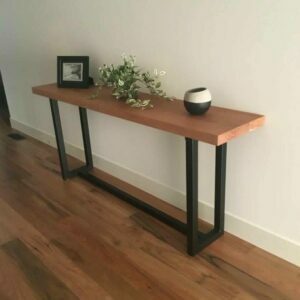 A console table imparts style to entryways and halls, whether it be timber, concrete or live edge, they accent your space. 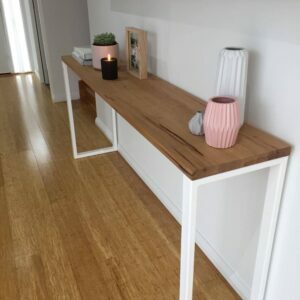 These surfaces can serve as purely decorative or fulfil a functional need – providing a space to house essentials like keys or mail. 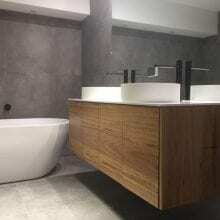 Customise your designer timber bathroom vanity to your unique space. 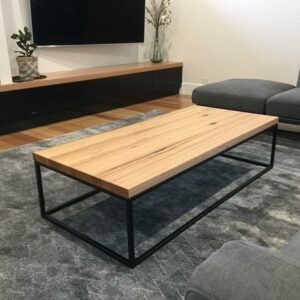 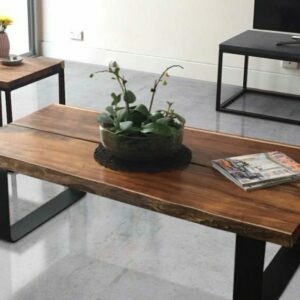 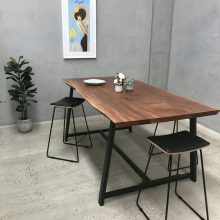 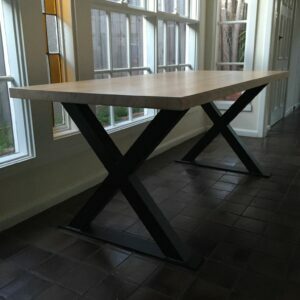 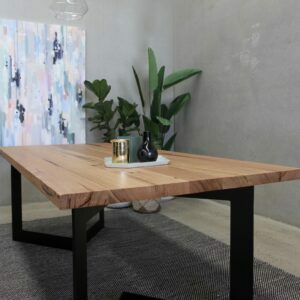 Stunning handcrafted live edge tables that offer a natural look combined with metal bases to give it that modern, industrial edge. 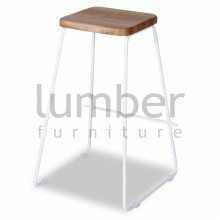 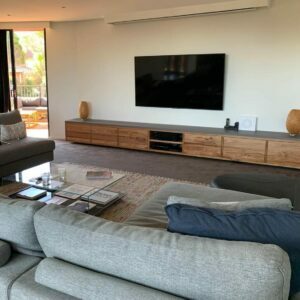 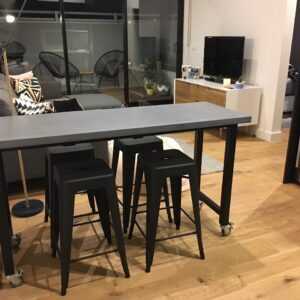 Contemporary, simplistic & functional style, our floating & floor standing entertainment units can be customised by timber, size and configuration. 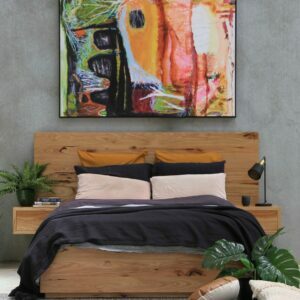 A custom handcrafted timber bed can create a restful space to wind down from the busy world in which we live. 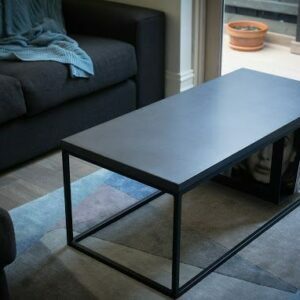 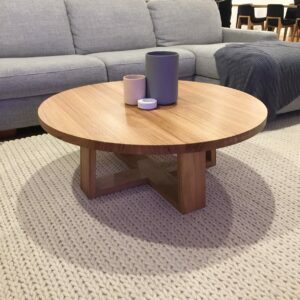 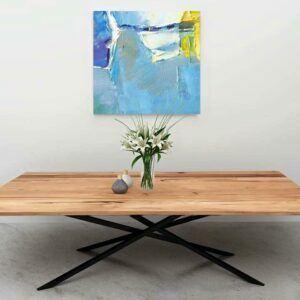 A coffee table is a focal point in your living room so you’ll want it to make a stylish yet minimalist statement. 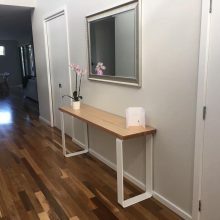 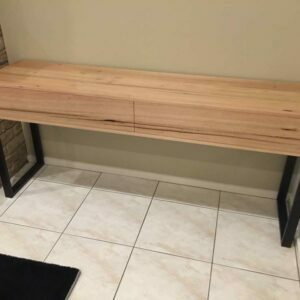 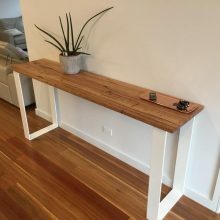 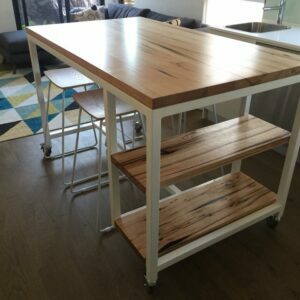 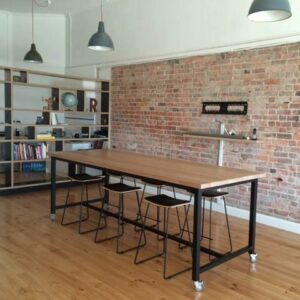 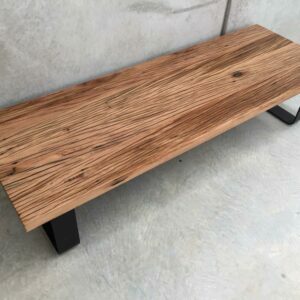 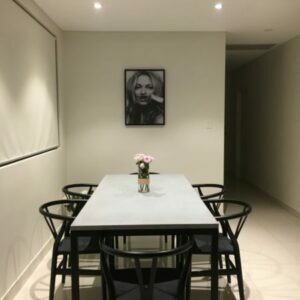 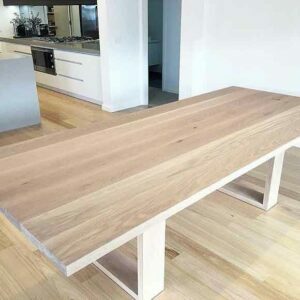 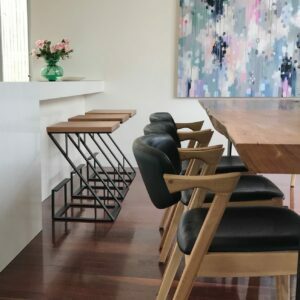 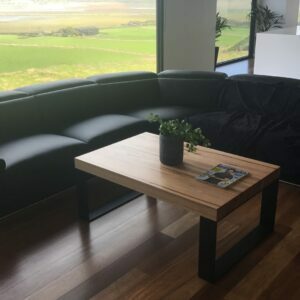 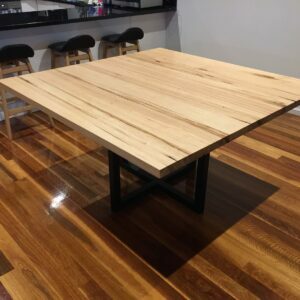 A customised island bench can work perfectly as a freestanding kitchen bench, a meeting table for your office or a bar bench for the blokes. 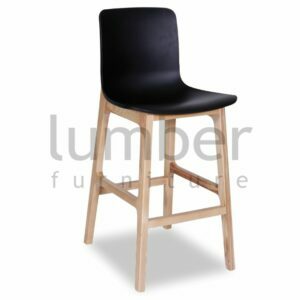 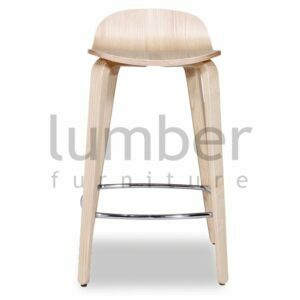 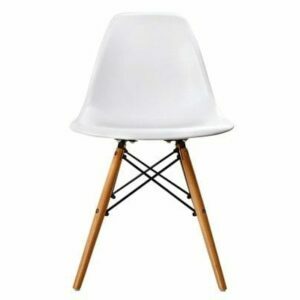 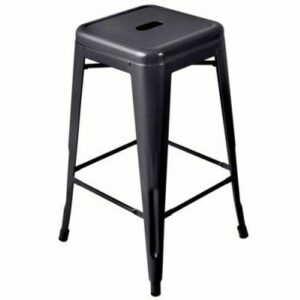 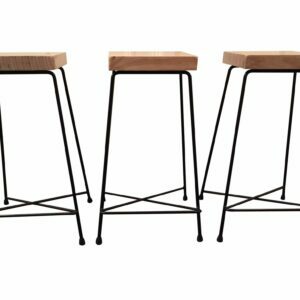 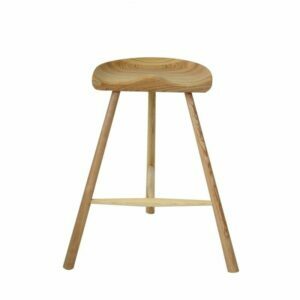 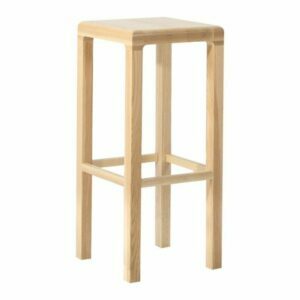 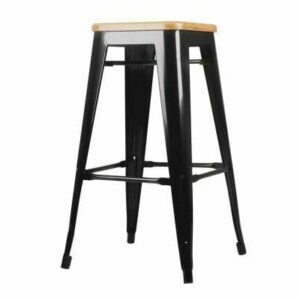 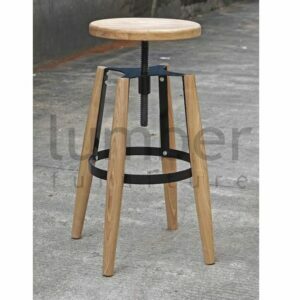 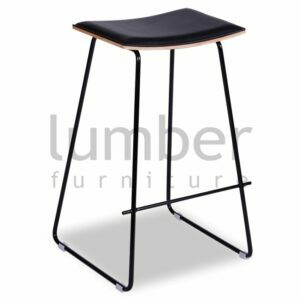 A collection of designer bar stools for your space. 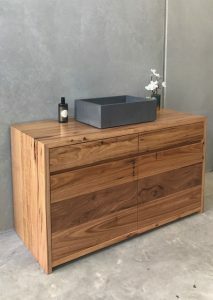 We embrace the earthiness and ‘realness’ in materials that connect us with the ever changing environment. 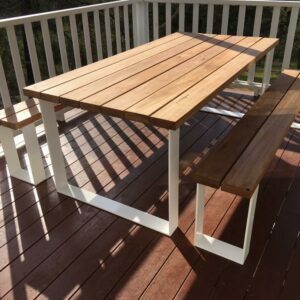 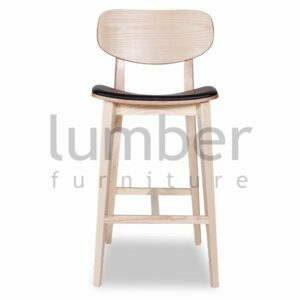 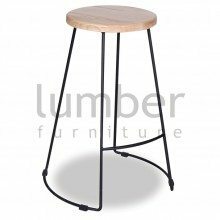 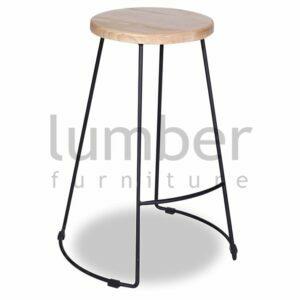 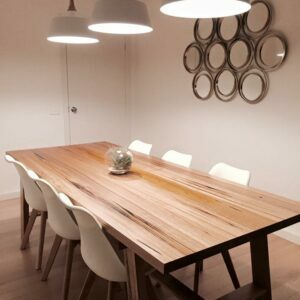 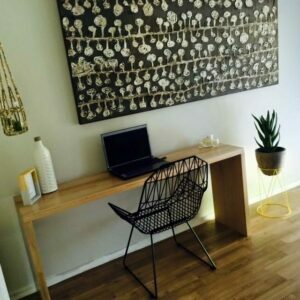 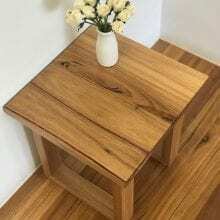 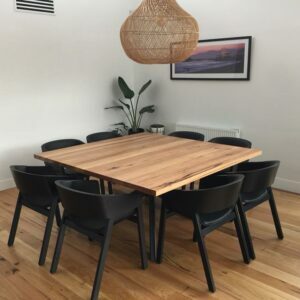 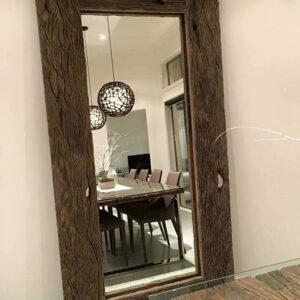 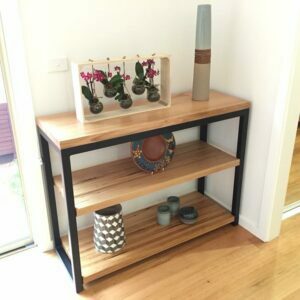 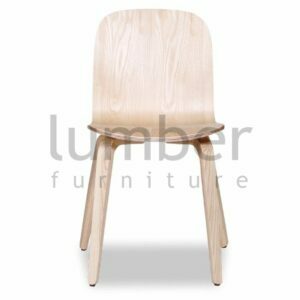 Recycled timber furniture that tells a story will enhance and bring warmth to your home. 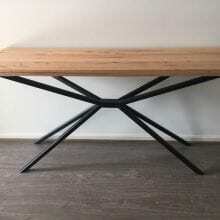 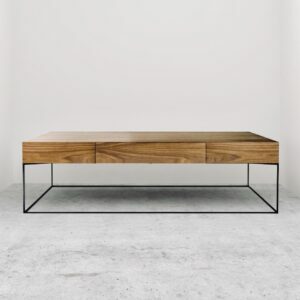 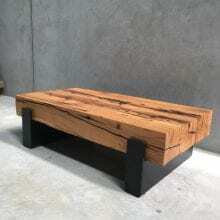 A natural piece of recycled timber furniture is luxury in an unconventional way.